Over the next year 6 people from the Inland of Norway will drive a brand new Nissan Leaf for 2 months. One of them will win the car, free to use for one year. One of the 6 people is me! In Norway electric cars have become extremely popular over the last years. This due to various government incentives, like tax reduction. Fact is, Norway is the country with the highest EV vehicle market penetration per capita in the world. And Oslo is named the EV capital of the world! But Norway is a diverse country, sporting large distances of wilderness – with roads in various conditions, like bumpy gravel. And in the inland of Norway for instance, the winter is really tough. The temperatures are easily reaching -20C and below. And snow. Lots of snow! How will an ordinary EV vehicle like the Nissan Leaf manage under those conditions? Well, that is for the test drivers under the #LeafMyRide flag to find out. The point is to use the car in normal everyday situations. 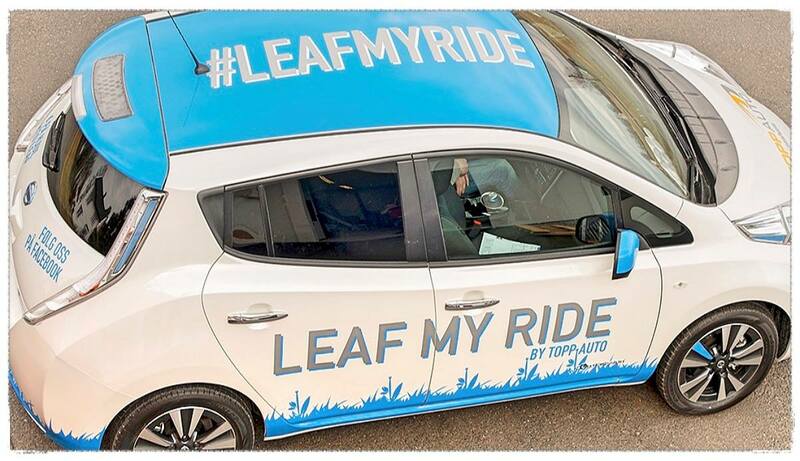 We’ll share the experiences on the Facebook page LeafMyRide, as well as in our own social media channels, blogs etc. At the end of the test period, there will be a jury deciding who’ll win the car for one year. Anyhow, I am really happy and feel priveliged just to get the opportunity to test drive the latest Leaf, with the 30 kWh battery pack. The two periods I will have access to the car is September 5th to October 5th and 27th March to 26th of April 2017. Thanks Topp Auto for having the guts to let us test drive the car.